Lost At How You can Start Investing and Really Prepare for your Financial Future? Start YOUR journey to financial freedom the STRESS-FREE way! And there’s an easy way so you avoid losing your hard-earned money in the world of personal finance and investing. FINALLY, a series of online practical lessons in stress-free investing for NEWBIES! You see I was like like you in many ways many years ago. I had to find all the info I could get, attended live (and expensive!) seminars, talked to experts & read a lot to make sure I’m making right thing. But nah, it was very overwhelming. Too technical not fit for a normal day employee like me. I wanted my money to work for me but it seemed the opposite is happening! I was spending so much time yet seeing little improvement! So through the years, I have learned key investing lessons (before, during & after!) and later on witnessed the common blunders many newbies usually do which made them lose so much money! Why are these people so stressed-out seeing their portfolio losing while others seem so confident with their strategies? What should be the controls that need to be used by any wise investor? It was a long, long learning curve. And now, I’d like to share it with you. Find out how you can actually BEGIN RIGHT, avoid the costly mistakes newbies often commit out of their ignorance and make your investing easy, practical, and more manageable for you to do! Saan po ba maganda mag-invest? Have you asked that question too? Asking which stock or company to buy? Asking when is the best time to buy them? The best time to sell them? The best time to hold them? And you simply wait for answers from people who don’t know anything about you? That’s one of the biggest mistakes newbies do! They tend to ask the wrong questions to the wrong people! And because of that, they get incomplete, or worse, inaccurate answers! is to start it right! Anyone can start investing, but the key is you to start it right! And as with any undertaking, you prepare for it before actually doing it! Many are too excited to finally begin but fail to take care of other related things that need to be settled. Let me share some few simple tips now. First , always choose a broker with good research team and one that provides seminars. So that you will learn from them. It’ s unavoidable that soon you will have to get used to all the investing jargons and few important figures so might as well have a great broker you can rely on for this. Second, For OFWs who have not yet started, make it part of your schedule in your trip back home to open a trading account. For now, You can submit via email first your application for verification. Then you can send the actual documents (via a courier service) once you get their go-signal, or go directly to their office. Just check the website of brokers for their email support. Third, learn a little fundamental and technical analysis. This will come in handy when you join investing forums and read inputs from other investors and reports from your broker..
Marami ang mabait tumulong, pero yung iba sadyang mapanglamang sa kapwa. You need to learn this even slowly, say allot 30 minutes a week, just to learn one concept a day like financial ratios (P/E, P/BV) and basic indicators (RSI, MACD, Stochastics). Medyo nerdy yan sa simula, but it’s actually very simple to use, parang facebook lang! You will greatly advance your performance with this simple concepts. Live seminars are good, but online is a good alternatives for those constrained for some reasons. When you attend seminars, don’t just focus on the speaker. Learn to network with other participants. You don’t know how far you can go with their help! This is not really specific to stocks investing. See the forest over the trees, as they say. Don’t be too focused on investing that you forget your ultimate goal – being financially free, having more time for yourself, being stress-free, being happy and being there for cause you support. No need for a complicated planning. Just list down your dreams, assign a deadline, and allot in your sched fixed time for moving forward. Be flexible too. Is it safe to just “invest for the long-term”? This is another one hot question when it comes to investing. If you notice the patterns in many discussion threads in several investing forums, not a few are actually taking about waiting for support/resistance or waiting for down/ups so they can buy/sell. In short, these people are doing some sort of market timing – or in simple terms, catching the “almost perfect” time to buy and sell stocks. And if you’ve been in the market, you’ll probably agree if I’d say that the excitement in trading only ends when you see find yourself at the losing side of the trade. That’s why many later on go to the other investing approach – that of going long-term. In fact, many are strong advocates of this type of strategy. What happens if you stick to your long-term horizon and you don’t sell your stocks? Like you intend to keep it for minimum 5 years? Do you believe that being focused on eyeing stocks that are good for long term generally safe? Well, the safest answer is: IT DEPENDS! You see, we’re now talking about one of the most important aspect of any investment – RISK! So some few words first about this “risk”. First, we need to agree that there’s no investment that’s 100 % free from risks! Even the money that you park in your bank which you believe is safe is actually exposed to the inflation risk! If you don’t do anything about it, then you’re a SURE LOSER every year because of the losing purchasing power of your money at hand. Now going to the world of stock market, as with any investment, there is also no such thing as safe in any market. The truth is, whether you’re investing for the long-term or a swift trader, you still should monitor your stocks with the current price trends and events, the frequency of which depending on your own style and goals. More importantly, you simply can’t overstay in the stock market or invest blindly and hope you are up after 5 years. Stocks that keep on going down even if you keep it for several years are not unusual! In short, Long period of investing doesn’t guarantee profit. In fact, even the companies you may consider good now once didn’t have good return even for a 5-yr stockholder. Take a look at one favorite stock MEG as an example. The chart is shown below from 2004 to 2012. Imagine yourself buying this stock at the peak of 2007 when the price was more than Php4/share. Guess what happened even after five loooong years? The price was only around Php2+/share! If you invested your life savings blindly that 2007, I don’t think you’ve had a good night sleep. Until after around 7 years, it still did not break the 2007 highs. (Now as of Oct 31 2016, its current price is only at 4++). So what’s the key to the so called investing for long-term? If you want to go long term like more than 5 years then it’s important to choose companies with good long term fundamentals and those than can have consistent growth earning and positive market sentiment at the same time. Also, don’t forget growth potential as well to optimize your investment. Once this careful stock selection is done, the next you need to manage is your attitude and discipline towards those investing goals. Be vigilant in sticking to your horizon if the reason of your buying it is still intact! Lastly, different persons have different risk profile and goals in investing. Short, mid and long-term investing all have pros and cons, which any one investor should be aware of. Don’t just follow anyone without checking if it suits your own case! Again, if you go long-term, then the key is on choosing the great companies that will have consistent growth earnings and positive market sentiment at least during the period you’re invested. There are other lessons every newbie should realize and the above lessons are few critical in the list. Get access to recorded online seminars where you will learn practical tips about investing and personal finance that will SAVE you from a LOT of STRESS before you actually begin or if you’re just a new investor! Avoid the blunders many newbies commit! Learn other practical lessons available! It’s not enough (and never wise!) to just do investing alone! You need to integrate it with a more holistic and proper personal finance planning! And you will also get the lessons how! 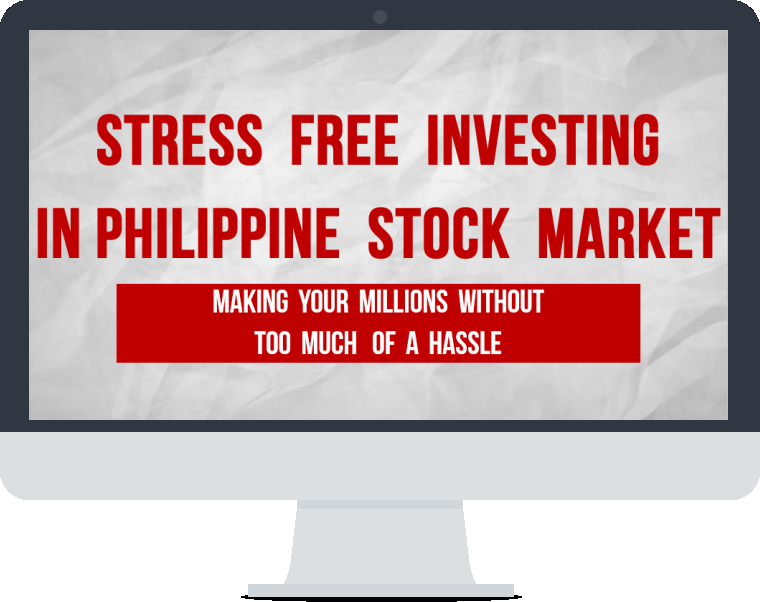 You can shortcut your way to stress free investing with all the simple lessons you will find out through the videos tutorials! You see, your ultimate goal is not to really invest in the stock market! Your final goal is to be financially free, one that does not have to worry about money every day. One that allows you to be free to do what you wanna do and to go where you wanna go. You need not just to learn how to invest, but see the bigger picture, get out of the rat race, and learn creating your streams of passive income. Passive income is the income you receive even without putting in so much time and effort. Examples of this are income from property rental, dividends and book royalty. You receive this kind of money even if you sleep all day! (In contrast, your income from your salary is called active income). To get of the rat race, your goal then is to accumulate enough passive income to an amount greater than your expenses. When you’re done with this, that’s the time you enter and see a totally different world of opportunities are presented to you. Imagine this as a place where all the giant tycoons we have in the Philippines are operating. This kind of world have bigger opportunities which are not readily available to ordinary Pinoy employees. Whatever dream you may have, whether time freedom, or not having to deal with your boss again, this training reinforces the necessary basic knowledge you will need how to get out of the Rat Race and start living your life where your money starts to really work hard for you. These lessons will also change your wrong ingrained thoughts, the common misconceptions and mistakes people have on the concepts of asset, debts and liability. You will also discover and appreciate more the power of understanding your personal financial statement. And best of all, you will be with people who can support you in the rest of your financial journey even after you’re done with the training. Personally I started investing in my financial education right after graduation. But more than the money, it’s the improvement and growth I saw in myself that I’m very thankful of! And I’m always grateful of every opportunity to share everything I learned to all Pinoys aspiring for financial freedom. In fact, big part of of all my financial plans now revolve around the lessons I learned from my mistakes, which I shared in the training lessons. I don’t want to just talk about myself, and I wish you will also experience the same awakening I had at the least, especially if you’ve been an employee like me. More importantly, find yourself a venue of support that will remind you constantly of your dreams, pushing you to make a little step forward each day. You can join wherever you are, even OFWS! Since this is an online training series, you can join where you are. No need to travel long distance just to level up your learning and network with like-minded people. You can begin your first steps now at the comfort of you home! Just sign-up and you’re good to go! PS: Sign-up now and get huge discount. Use coupon code QUICKMOVER to get your discount. Hi Omeng, if I sign up and pay by tomorrow 12/05/2017, can I still avail of the discount? In my experienced as a traders (short-term) almost a year it won’t last longer..it’s hard to predict the market no matter how accurate your technical analysis..stop thinking short term start thinking long term, is not the (low/cheap) price of the market, but its the value of the company..that’s the key for long term investment strategy. Hi Sir Omeng. I’m an English speaking only foreigner permanently residing in the Philippines. I really like your website and want to learn how to invest here. Are your webinars and online lessons also presented in English so that I may fully understand? Hi Dennis, it’s a mix of English & Filipino languages. Hi I have to pay when I sign up thru paypal or Bank Transfer right? If ever I got the training modules ang investment ba is At your own Risk? Kasi I have to pay 1997 to learn. 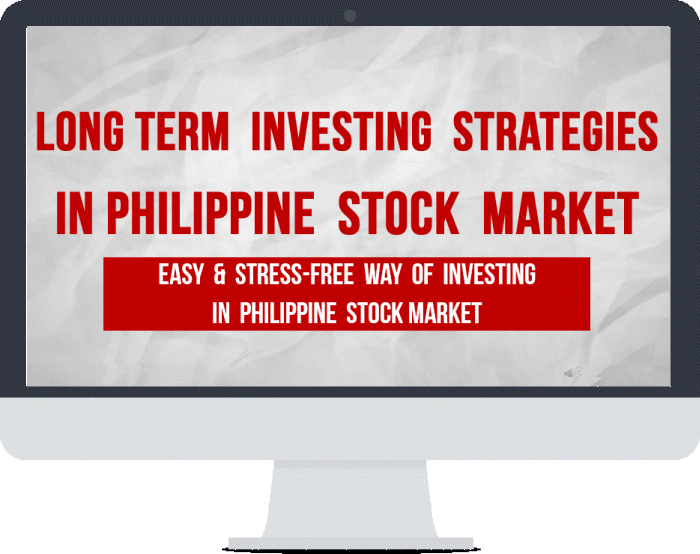 Wala ba mag-guide na which is better to invest your money. Hello Inang, the training modules are video lessons. It gives specific guidance and framework to personal finance and investing. For specific stocks update recommendations, you can check out Truly Rich Club. Sir omeng ilang Araw PO ba pag pinapickup yung mga documents paper for COL for opening account. Hi Joey, better make follow-up if after one day ay wala ang representative nila. about educational plan how is the process and payments/? Hi Kervin, keep sending follow-up sa email ng customer support nila. Hi Sir, I’ve been following and reading your blog for some time now. I want to comment on your latest post but for some reason di ko po Makita yung comment section. Anyway, I want to ask po about Philcrowd. I’ve been reading and researching about it and nababasa ko din sa mga forums. But I want to hear from someone na talagang investor. Gustong gusto ko sana mag start ng business kahit OFW ako, kesa simulant ko pag nag for good na ko. Philcrowd is a good idea pero gaano po ka safe ang investment natin sa kanila? ano po ang experience niyo so far? gaano na po kayo katagal na investor sa kanila? pano po kayo nag start? any tips and advices? sorry po sa madaming tanong. long forward to hearing your thoughts. thanks. Hi Pinay Expat, Philcrowd is on its first year so I can’t vouch yet on their historical returns as they don’t have yet. But I trust them enough to invest part of my portfolio for diversification to traditional businesses. Hi Omeng. I made my relative pay the money into your metro account since 3days now. How do I start up with the training. Hi Richard your account is active now. You can log-in here to access your lessons. Hi Aida, you can now access your lessons. Pls log in here. Hi Charlie, it is an series of online videos you can access online anywhere at your convenient time. SIr Omeng, do you mean I don’t have to attend a seminar physically to be able to use your program? Thanks po. Hi Naida, this is an online learning program so you can access it at the comfort of your home. You will have access to it right after sign-up here. Thanks, Sir Omeng. I already have signed-up. I have not made payment via bank deposit yet. I understand you are conducting a webinar, may I please know when it will be, Sir? Tyvm po. Hi Naida, the content are already available as recorded webinars. We will have live webinars but that is only additional, and schedule will be sent to your email. How much po ang total na babayaran.? Hi Jenniffer, 997 pesos only with the discount which will end on Oct 31, or until coupon use is maxed out. Sign-up is here. Hi Sir Omeng, saw the sign -up, wondering how much is it. 1997 in dollars?. Thanks in advance for the reply.